Have you been thinking about hiking Boulder? If so, you’ve undoubtedly put the Flatirons in Boulder, CO on your shortlist of outdoor destinations. The five rock formations that make up the Flatirons are located on the west side of Boulder on the eastern slope of Green Mountain, and images of the Flatirons can be found all over town. Take the drive from Golden to enjoy this unique natural wonder and iconic piece of Boulder’s landscape for yourself. And while you’re here, make sure to check out the new vehicle specials going on at Fisher Acura! Flatiron Loop Trail – This is an easy and sometimes moderately difficult 2-mile hike through the forest between the Flatirons. Royal Arch Trail – For a longer and more difficult hike that rewards the effort, the Royal Arch Trail is a 3-mile hike that gives you great views of the Flatirons and an incredible look out over the city. The Flatirons are one of the most popular spots in the United States for rock climbing. The First and Third Flatirons are the most popular climbing options and include a range of different pitches from around four to ten. Chautauqua Park offers incredible views of the Flatirons and some great spots to set up a picnic with some friends. It’s dog-friendly, too, so don’t forget to bring along your furry pal. Experience Boulder, CO the Right Way with Your Thornton area Acura Dealer! 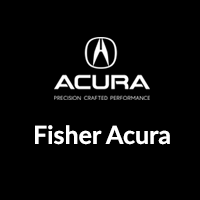 Fisher Acura is your guide to Boulder, so make your way from Arvada to see us today at 6025 Arapahoe Road to chat with our staff about what to do around town. Before you come in, make sure to check out our current payment options on new luxury cars, or feel free to contact us at (303) 245-6418 with any questions!